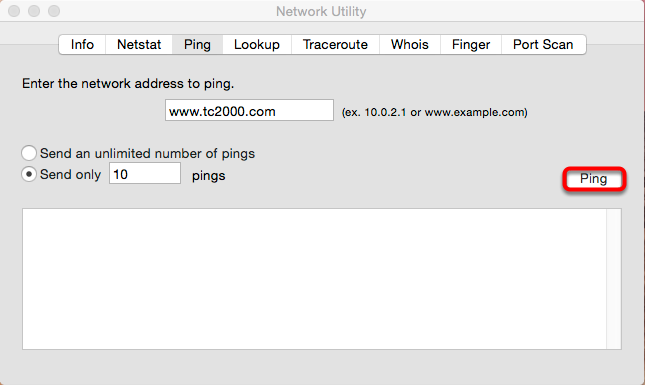 This article explains the steps to take if TC2000 v12.4 is stuck at "Connecting". 3. 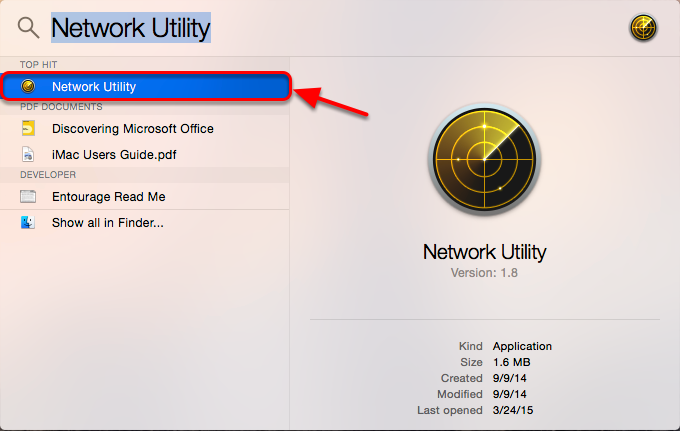 Select Network Utility from the search results. 4. Select the Ping tab. 5. 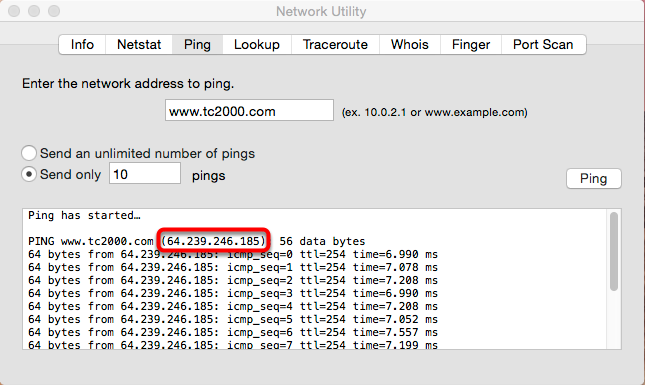 Enter the address of the website you would like to Ping. 6. Click the Ping button. 7. 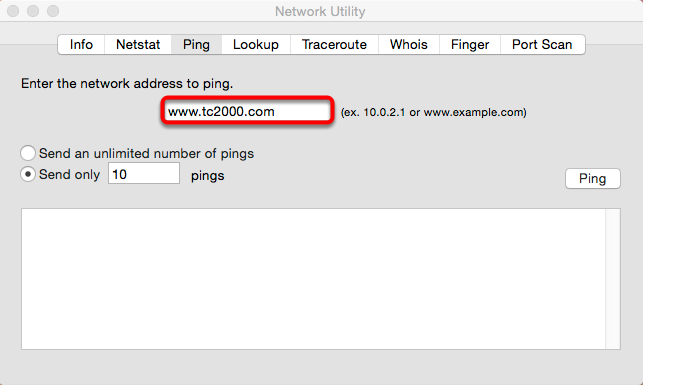 The IP address is listed to the right of the website address. 8. 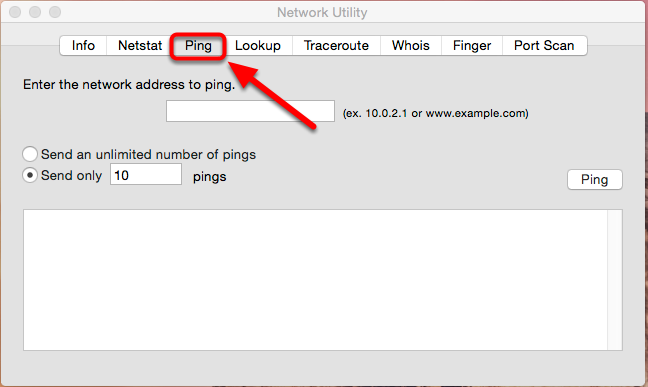 Repeat steps 5 through 7 to find the IP address for all of the desired sites.